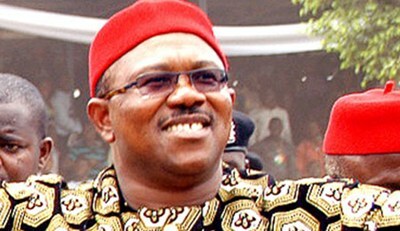 Peter Obi was recently a subject of mockery from the APC fan base for the number of times he mentioned China on the podium. The memes and GIFS soon came through and Obi was even handed a Chinese name to cap it all up. Known by all Nigerians, There is no Peter Obi interview—whether in the newspapers or on TV—where he doesn’t mention China as an living example Nigeria must follow if leadership really want to fight for reviving the nation’s weak economy. Recently, During a leadership summit with young Nigerians in Yaba, Lagos on Friday, January 11, 2019, Obi announced that his love for China is just starting. “I always use China as example because we were better than China (in most economic indices) a few years ago. I can’t compare Nigeria with America because they are light years ahead of everyone. But where was China in the ’60s and now? Where were we in the ’60s and now? We are borrowing and borrowing, but where is the money going to? What are we doing with all this borrowing?”, Obi asked. Obi also said that the infrastructure projects the Buhari administration resorts to whenever the question of borrowing is asked, isn’t corresponding with the volume of borrowing in itself. Obi also mocked ‘Tradermoni’—a petty loan scheme to small scale businesses started by the Buhari administration.